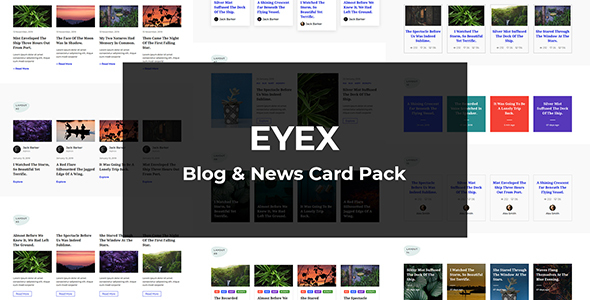 Eyex is a Bootstrap 4.x Grid-based blog and news card layout. its build with latest Bootstrap v4.1.3, HTML5 and CSS3. Eyex comes with 15 different layouts. it is fully responsive and highly customizable. you easily use pre-made layouts. you also can made your custom layouts with EYEX-elements. It is very easy to import in your template. this is suitable for any type of website Template or landing page. it is not wordpress plugin.